Presenting a seminar titled, "Should Moonlight Be Warm? ", SparkLab's CJ Brockway offers a deep dive into the design implications of residential street lighting color temperature and color quality at both the LED Specifier Summit in Seattle, and LightShow West in Las Vegas. SparkLab contributes two light-art installations for the 2018 debut of Seattle's "Borealis, A Festival of Lights". Featuring a video projection mapping on MOHAI and walking tour of art installations in the South Lake Union neighborhood, the Festival was an overwhelming success. SparkLab's installations could be found along-side Mercer Avenue ("Talkin' About Traffic"), and in the stairway of the Troy Building ("Counting On You"). Kudos to the festival organizers, Mary Coss and Terry Morgan! Also, huge thanks to collaborator and artist, Dave Misner, and sponsors LEDlinear, Wattstopper Legrand, Hollywood Lights, and Pharos! Counting On You - A team of strangers finds one of Susannah's coded "Easter Eggs"
Hard at work in the "Lab", Susannah Scott and CJ Brockway put together their experimental concoctions for the Borealis Festival. 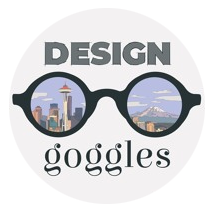 Design Goggles synopsis: "For a few months of the year, Seattle is darker than anywhere else in the country. Living through it year after year, Seattlites have developed a special relationship with light, both natural and otherwise. How can we better take advantage of this special relationship in architecture and design? 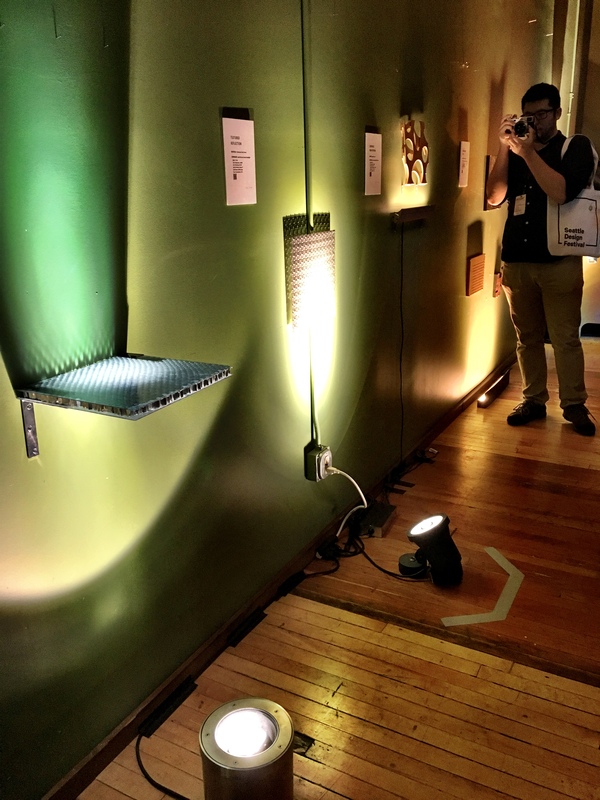 How can designers integrate light thoughtfully into their work? How come streetlights are so darn harsh? What's Kelvin, and should we care? (Yes, we should.)" May 17, 2018: Tableau Data 1 wins three IES awards - regional Edith F Guth Memorial Award for Interior Lighting Design, regional Energy and Environmental Design Award, and a national IES Illumination Award of Merit. Collaboration thanks go to Susan and Debbie with Lightwire. 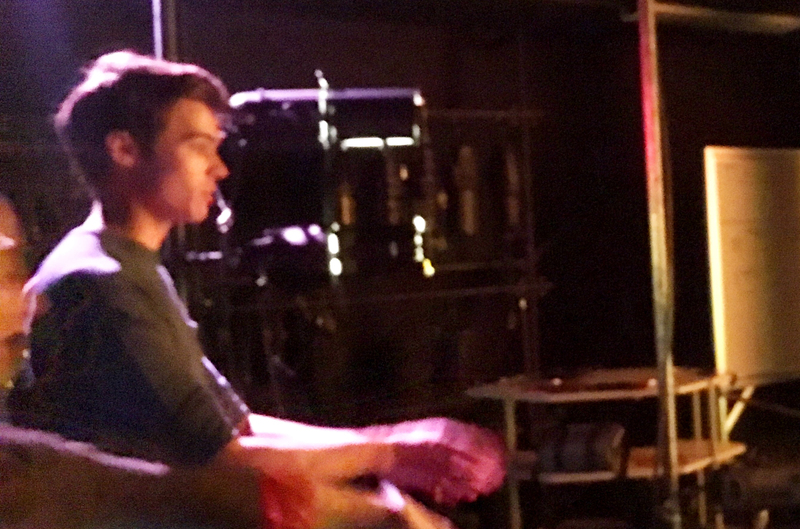 Read about SparkLab's work with students, in partnership with Blanca Lighting. 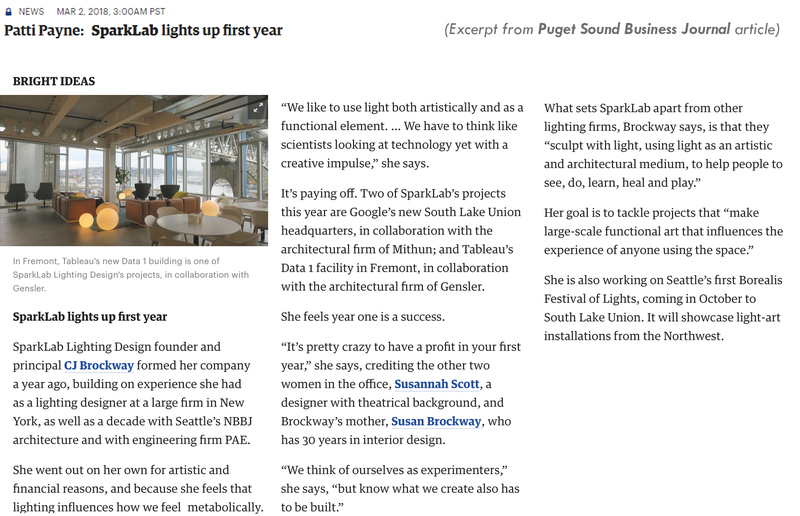 SparkLab designs lighting for Tableau Software's 'Data One' project. 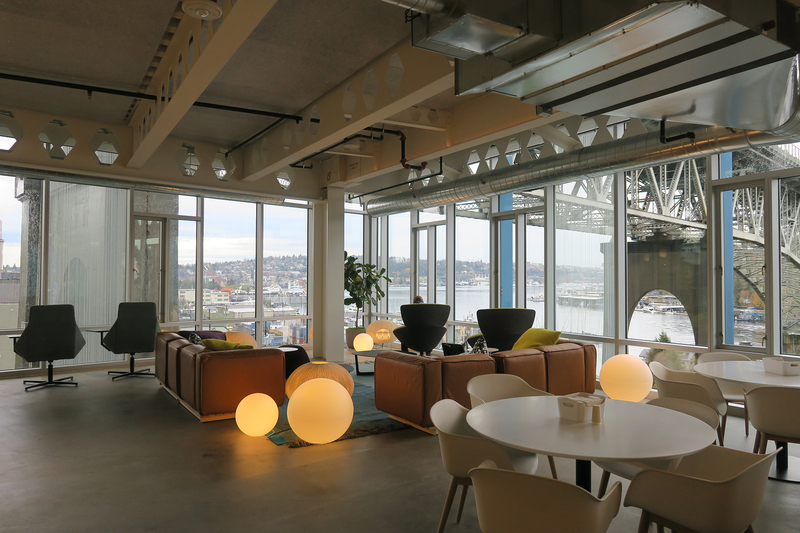 After a successful design for 'Northedge', Tableau's beautiful headquarters designed with Gensler while CJ Brockway was with Luma, CJ and colleague Susan Rhodes of Lightwire pulled together a stylish, low-cost and fast-paced lighting strategy for Fremont's data visionary software company. 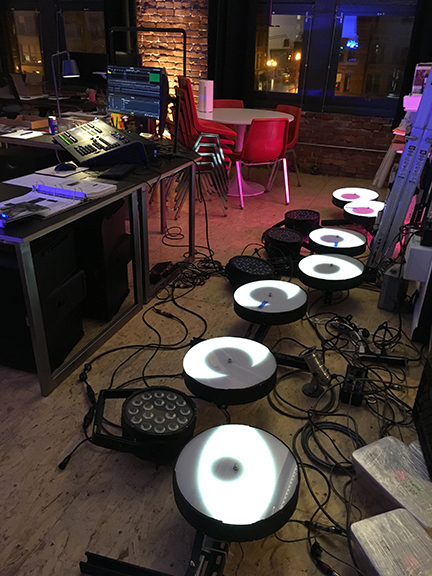 A talented lighting expert, Susannah brings many years of experience doing hands-on theatrical lighting projects, corporate events, galas, concerts and trade shows to SparkLab. 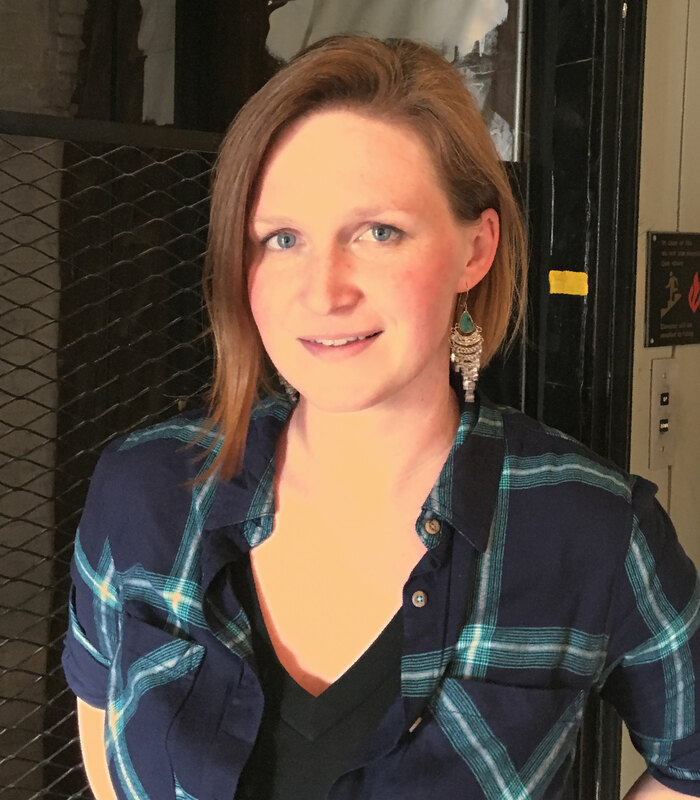 In addition to lovely lighting designs and control system programming, her strengths include project management and building and maintaining client relations. Susannah hails from Berkeley, CA and has a degree in Theatre from Western Washington University. 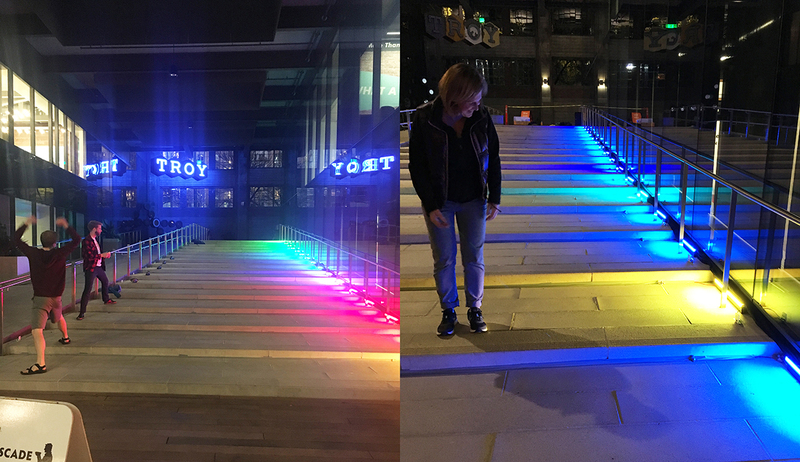 Susan Brockway and SparkLab's newest designer, Susannah Scott, show the interaction between light and materiality in an installation at the Design in Public Closing Party on September 22nd. Thanks to Dan White at NBBJ for the material samples, Sidney and Renee at Lighting Designs, Inc. and the team at Karass Creative. In honor of UNESCO 2015 International Year of Light, lighting designers were asked by the IALD to make 30 second videos answering the question:“What does light mean to you?”. "Lighting, You Know, For Kids!" 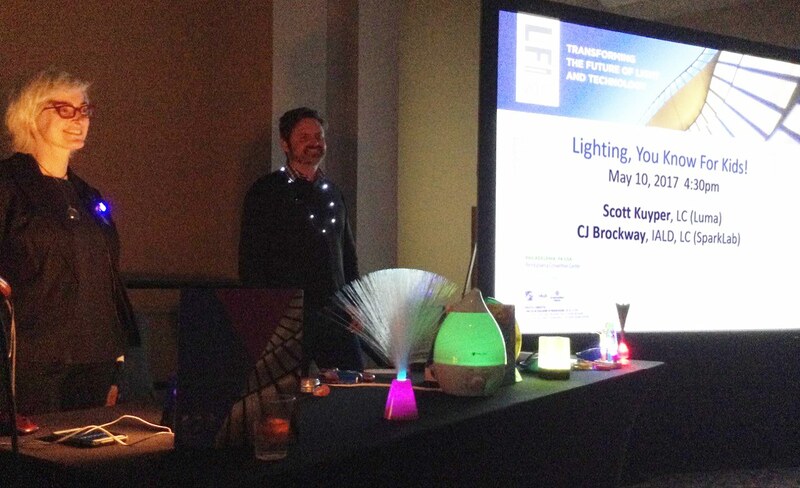 - an AIA accredited talk by CJ Brockway of SparkLab, and Scott Kuyper of Luma, was presented Wednesday afternoon, May 10, 2017 at LIGHTFAIR International in Philadelphia. An exploration of the world of lighting as integrated into toys, CJ and Scott shared their research and example products during the 90 minute session. 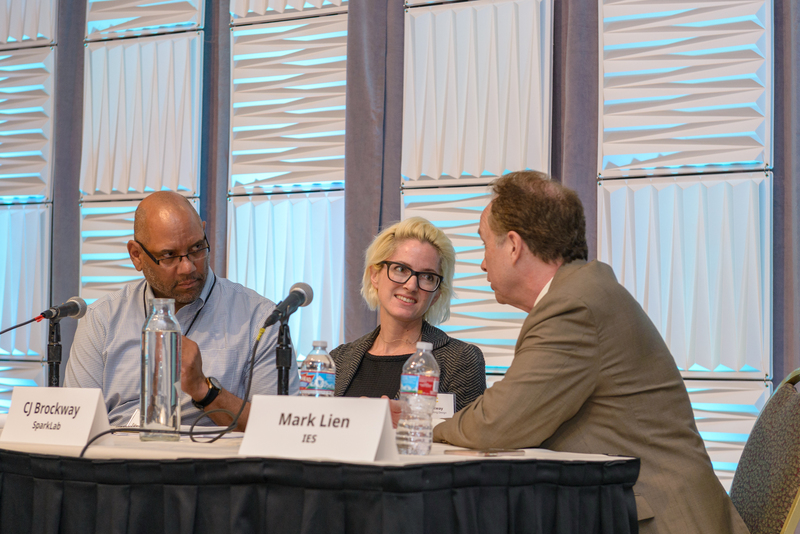 During the well-attended 2017 Design Lights Consortium Stakeholder meeting in Portland, Edward Bartholomew with National Grid, CJ Brockway with SparkLab, and Mark Lien with the IES discuss "Efficacy vs. Lighting Quality: It Doesn't Have to be a Trade-off"